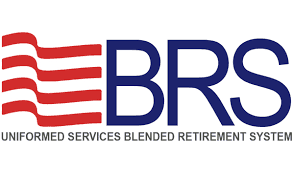 I know the new Blended Retirement System (BRS) has frustrated some people. I’m going to show you how awesome this can be for young service members. The dollar value of the 5% matching contribution is $178.19 your first year in the service (if you’re an E-1). For the sake of simplicity, we are going to assume that you never receive a pay raise the first four years (even though you should every year). This $178.19 becomes $8553.12 over the next four years (note, that is not including the interest accrued during this period, just the amount contributed). In 40 years, that dollar amount will have grown to $128,078.33 if it received an average of 7% interest during that time. If you placed that money in a more aggressive fund in order to receive an average of 10% interest It would grow to $387,107.84 in that time. Now, here is the crazy part. Having $387,107.84 in your TSP will equate to $1,290.36 a month in withdrawals (at a 4% withdrawal rate, which is recommended) or $15,484.31 annually. Keep in mind, this assumes that you only contributed to your Thrift Savings Plan (TSP) for 4 years, and did not stay in the military. Imagine if you kept contributing to your TSP for an entire 20-year career in the military, plus the 5% matching contribution. What about the .5% we Lose Towards Pension? If you stay in the service until 20 years, and retire as an E-8 (about the average) your retirement check is currently $2504.33. If you take the Blended Retirement System route this drops to $2,003.46, but once you add the additional $1290.36 (assuming you stopped contributing after 4 years) in your 60’s you will be doing much better! The real question with this is, what if you don’t make it to year 20 in order to receive your full military retirement (the attrition rate is staggering). The answer is that you can exit the service after 4 years and take this $8553.12 (which could grow to $387,107.84) with you. That means the additional $1290.36 a month at retirement could still be yours, whereas with the old retirement system you would have received nothing towards retirement other than your personal contributions after four years of service. It is important to note the figures above refer to only the 5% matching contribution, so assuming you personally contributed only 5% you could essentially double these numbers. Imagine if you contributed 20%, or even 30% during this first 4-year period! Lets get crazy for a moment…If you contribute 25% (20% plus 5% matching) for four years (again assuming no promotions) you will have contributed $24,280.80, and in 40.5 years it will have grown to an estimated $512,083.07 (at 7.18% interest) or $1,690,576.24 (at 10% interest). At a 4% withdrawal rate this is $67,623.05 annually! If you contribute 35% (30% plus 5% matching) for four years (again assuming no promotions) you will have contributed $32,144.64, and in 40.5 years it will have grown to an estimated $677,932.82 (at 7.18% interest) or $2,238,104.31 (at 10% interest). At a 4% withdrawal rate this is $89,524.17 annually! Basically, you need to maximize your effort in contributing to the TSP during your first four years of service. If you do this, your retirement could already be sufficiently funded, and you would be able to begin investing the money that you had been contributing elsewhere. Look, what you choose to do is not my decision, and I can’t tell you what to do. However, if you are not 100% certain that you will make it to 20 years in the military (many people change their mind, or get hurt, etc.) then I encourage you opt-in to the Blended Retirement System in order to guarantee you get to take home at least some retirement, no matter what! P.S. If you opt in, you need to AT LEAST be putting 5% towards your TSP in order to reap the full matching benefit. I urge you to put even more in. The more you invest in TSP your first term in the military the larger your retirement account will grow! Think long term, not short term, wealth. My friend Doug Nordman writes an extremely thorough article on this, of which I’m a small portion of the “inspiration” (as somebody at 10-years, unsure about retirement). Click here in order to check out our Start Here page! Active duty Marine, Real Estate Investor, Military Influencer!